Marshall continues to celebrate home grown talent across their group and are very proud of their colleagues who are taking their next career step with them. Whilst there is still a real shortage of women in our industry they wanted to celebrate more incredible women growing their careers with Marshall. “I was looking for a new challenge and saw a Marshall advert for a Sales Executive Assessment Day. I liked the idea of working in the motor industry based on a more involved customer relationship journey and the career progression. I was slightly concerned that I didn’t have any motor related experience but passed the assessment day and haven’t looked back! I started as a Trainee Sales Executive and learnt very quickly. I am now a Sales Executive with lots of additional responsibility. We are a small team so I have been able to learn elements of the Sales Manager role and cover when needed. I initially did the Marshall Sales Orientation training and have attended lots of brand training. I then went on to secure a place on the Marshall Future Leaders Programme and passed in December 2018 which I was very proud of. It felt like recognition from Marshall and that they wanted to invest in me and develop my career with them. 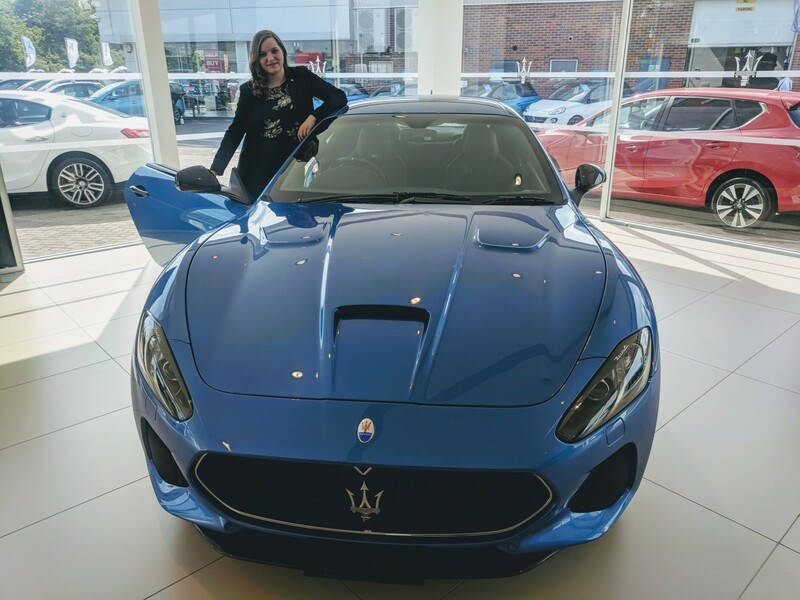 When Mel first tried to secure a role in the motor industry, some time ago, she felt that due to not having any automotive experience and being female were the two main reasons no one would give her a chance. She starting working at a furniture sales company and it was there where a customer, who happened to work in our sector, spotted her talent and head hunted her. “I started as a Sales Executive but for me, that was a move forward as I was working for a bigger and better company plus with the Volkswagen brand that I had always loved. In 2017 I passed the Marshall Business Manager Assessment Centre and got promoted. At the beginning of 2018, I was then promoted to Sales Manager! I am fully accredited by Volkswagen plus I attended the Managers Orientation course with the Marshall Academy – it was really good fun and I learnt a lot. I came back a different person and have been able to put what I learnt into practice. Most importantly I have the support of my General Manager, who is my role model and continues to inspire and support me every day. “My first 6 months at Carcraft were really tough but I knuckled down and within a year was a team leader. I went on to work for them for 7 years. I then moved to Honda Bradford as a Business Manager – they actually had no F&I structure in place. I took them from £100 per unit to over £500 per unit. I was then approached to go to Volvo Leeds which again had no F&I and within 3 months was promoted to Sales Manager. From there I went to JCT600 as a Sales Manager for their SEAT Menston site for 18 months and then joined Marshall as a Sales Development Manager in 2016. Since joining Marshall I’ve had a lot of support from my Head of Businesses and attended lots of management and leadership courses over my career which have helped me be a better leader. Everyone is willing to help and support me and I also get a lot from our monthly meetings with where we always bounce ideas around as a team. I want to progress to Head of Business and then on to Sales Director. I have always wanted to take this career path. A Head of Business is such a key role and is all about people and process and if you get this right you can run a really successful business. 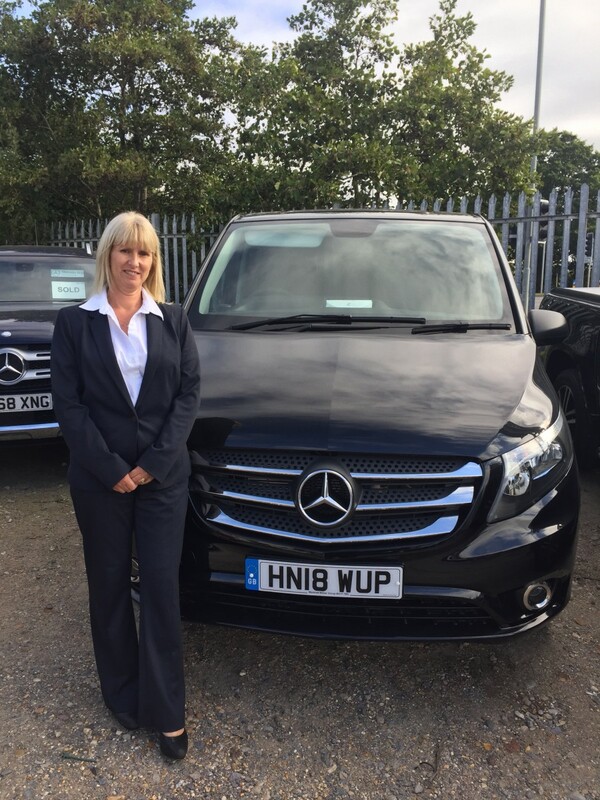 “My career to date has all been in the aftersales side of the business. 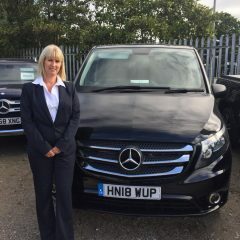 In 2006 I moved to the current Southampton passenger car site and was given the role of Group Administration Assistant working for the Aftersales Director doing all the reporting and accounts. I then moved to the Commercial Vehicle side of the business as Group Warranty Manager in 2008. After around 6 years I was offered the role of Group Aftersales Manager for Vans and in 2018 was promoted to Branch Manager for our Truck & Van business in Poole and am enjoying getting stuck in! 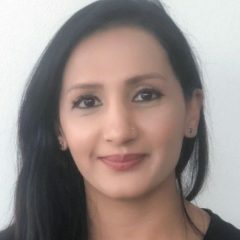 When I was first promoted to a management role I attended a Mercedes-Benz programme called Managing for Profit and Customer Satisfaction which was an 18-month programme and I learnt so much. I have also attended a lot of other courses that have helped but one of the biggest supports has been my manager. He has given me the greatest opportunities to progress my career and I can’t thank him enough for his support and encouragement over the years. We also have a great management team who share best practice and support each other on a day to day basis. I have got to where I want to be in terms of my role so now it’s all about being the best I can be and nurturing and coaching our young talent for the future. I want to bring them along and give them the opportunity to progress their careers. “My dad has bodyshop garages so I spent my childhood around cars! My first job was in the operations side of a vehicle rental company which I did for 2 years. 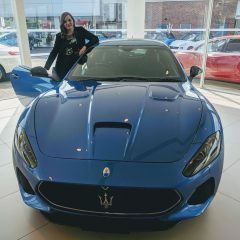 I then thought I could use my skills with people to earn more money so joined the sales team at a car supermarket called Croyland Car Megastore. Whilst working there someone introduced me to Marshall and I joined Vauxhall Peterborough as a Sales Executive where I learnt how to sell cars in a dealership environment. After two years I then took an opportunity to become a vehicle broker and was brokering finance due to really enjoying the finance side of my role at Vauxhall. 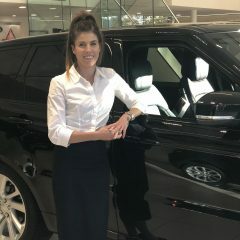 In 2016 I returned to Marshall as a Sales Executive for Land Rover Bedford and was promoted to Transaction Manager then to my current roles as Sales Manager. I was very much ‘in at the deep end’ at the car supermarket! It was only when I came to Marshall, who really invest in training, that I started getting development. The reason I love working here is you don’t feel like a number, you really feel Marshall want to invest in you. I’ve been really fortunate to have some great Head of Businesses and Sales Managers that have really invested in me and supported my learning and development. Marshall has really good training and I have always got something out of each course I’ve been on. People have always believed in me and helped me to best the best I can be! In terms of my future, I’m open minded –as long as I’m working with people and helping them to flourish and develop then I’m happy. I love my job and have loved each stage – I have a passion to be the best and I want to support my people to be the best. I am still quite fresh into the Sales Manager role so there are things I still need to develop. I’d love at some stage to be a Head of Business but I am also interested in Sales Development and Training! It’s a tough industry but I believe you get out what you put in so it’s about being committed, having a positive attitude, working hard and focussing on what’s best for our business and our customers. Also, don’t be afraid of asking for help or development. The culture at Marshall is they want to develop and grow people so it’s about making yourself known that you are interested in progression. The UK Automotive 30% Club is a voluntary group of MDs and CEOs from automotive manufacturing, retailing and supplier companies. 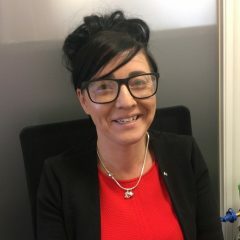 The club was founded by Julia Muir, CEO of Gaia Innovation Ltd, with the purpose of achieving a better gender balance within the automotive industry, and with the aim of filling at least 30% of key leadership positions in the member organisations with women by 2030. Please read our Safeguarding Policy.